3rd Floor of Library West. 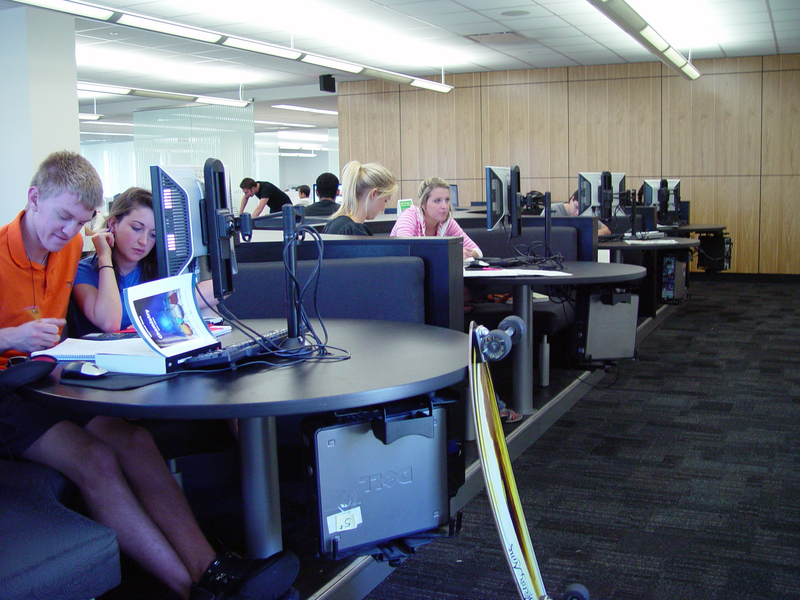 Collaborative learning environment with ample study space and computers. 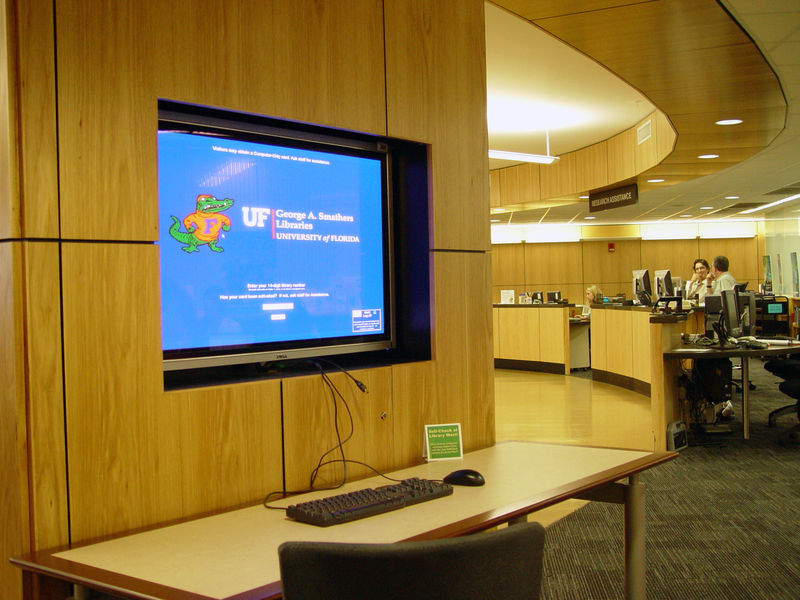 The InfoCommons @ UFLibraryWest is located on the 3rd floor of Smathers Library West at the University of Florida. We are open 7 days per week. 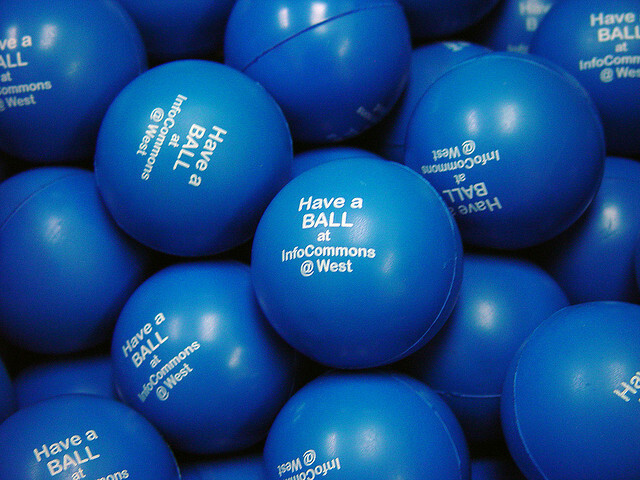 The InfoCommons was designed to foster collaborative learning in a creative environment while matching patron needs with the latest resources and technologies. That means we have approximately 200+ computers available for research, communication, learning, and design, as well as ample group and individual study space throughout the building. You can borrow equipment from the 2nd floor Circulation Desk. 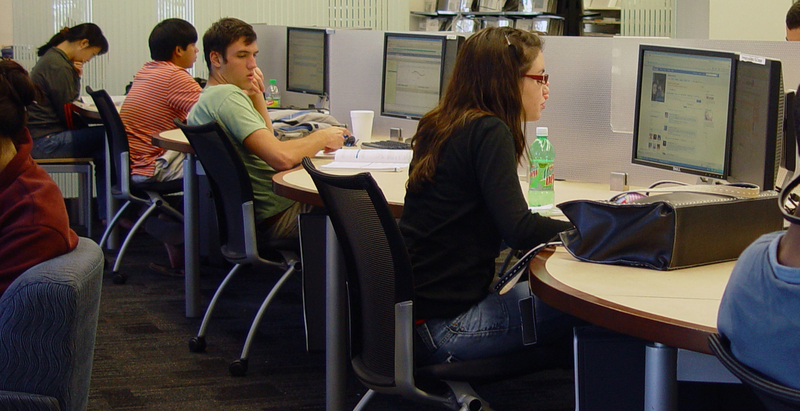 Reserve a group study room in advance via an online reservation system. Studying solo? 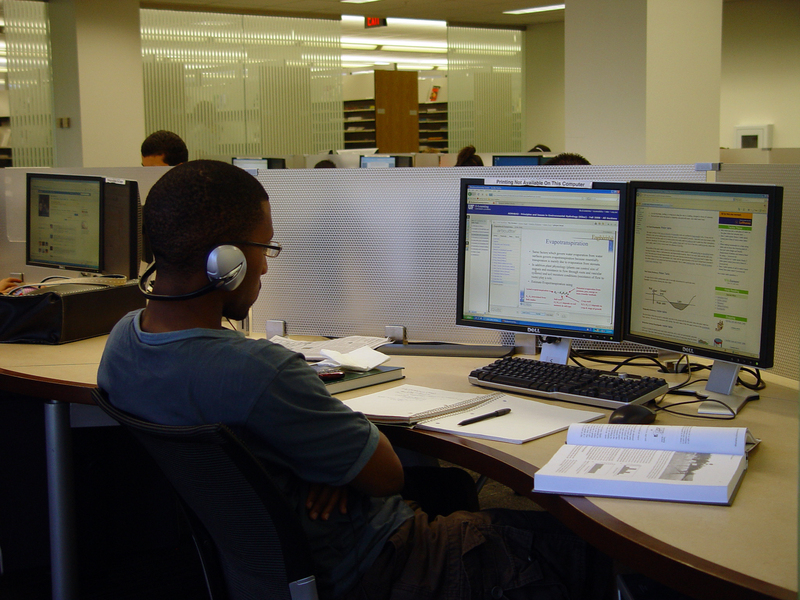 Take advantage of the dedicated “quiet study” 4th floor. 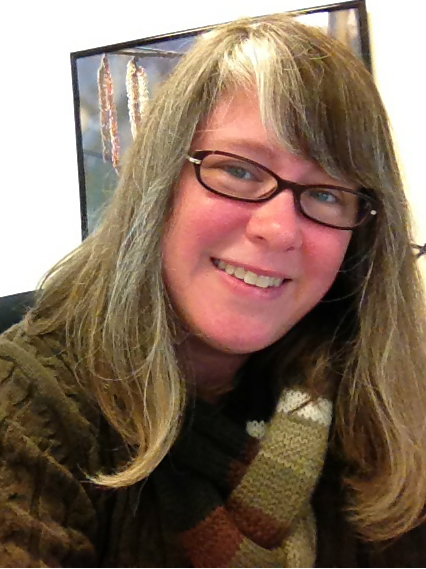 Graduate students can request special access to the 6th floor. Need a study break? Check out headlines on the news panel in the 3rd floor Neuharth Journalism Study Space. Grab a coffee and/or snack from the Starbucks conveniently located on the 1st floor and always open the same hours as Library West! FREE tutoring is available from University Writing Center and Office of Academic Support tutors in room 339 with a pre-scheduled appointment. We also have a Facebook Page,Twitter Account, and an Instagram if you'd like to keep in the loop on the happenings in LW.